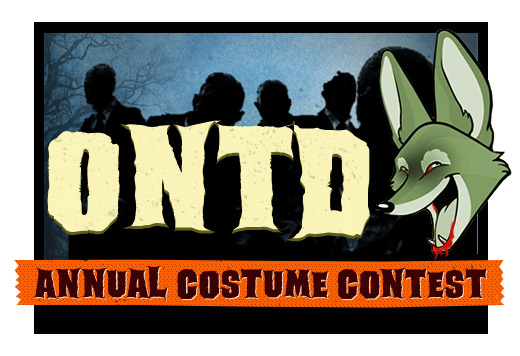 ONTD's Annual Costume Contest - LJ Contests! On November 1, there will be a submissions post, with comments screened, where you comment with a photo in your costume. In order to be eligible to win, you MUST have an ONTD sign in the photo. After submissions close, the mods will go through and narrow down the entries for a poll ONTD can vote on. After the poll is closed and winner announced, the original submission post will be unscreened for everyone to enjoy. BASICALLY, the same exact way it went down last year. There will be a poll and prize for each category, TBA later. (We're trying to avoid the generic blandness of Amazon gift cards, so suggestions of prizes people might actually want are welcome!) The mods will pick the best fits for each category and there is a chance that a costume could be eligible for multiple categories (i.e.…mods might pick one that's scary, but it might also be eligible for best overall) which will all be voted on by the community. More specific details and timelines will be included with the submission post, but I'll try to answer any questions that I can.